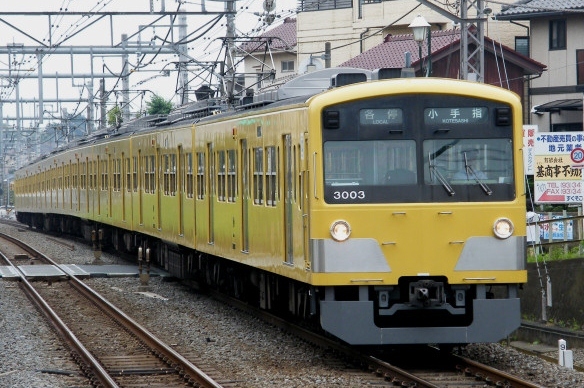 The 3000 Series is a three-door commuter type electric multiple unit developed by Seibu for the Ikebukuro Line. With the introduction of the 2000 Series capable of regenerative braking, the Seibu Shinjuku Line had become much more energy efficient than before. However, the 101 and 301 Series trains on the Ikebukuro Line were not capable of this and were less energy efficient. Seibu introduced the 3000 Series to solve this issue. Despite building the four-door 2000 Series in 1977, the 3000 Series reverted to a three-door design. At the time, a four-door design was not considered necessary for the Ikebukuro Line. The end car design is similar in appearance to the 101 and 301 Series and shares the same steel body construction. Equipment wise, the 3000 Series is very similar to the 2000 Series and uses field-chopper control. 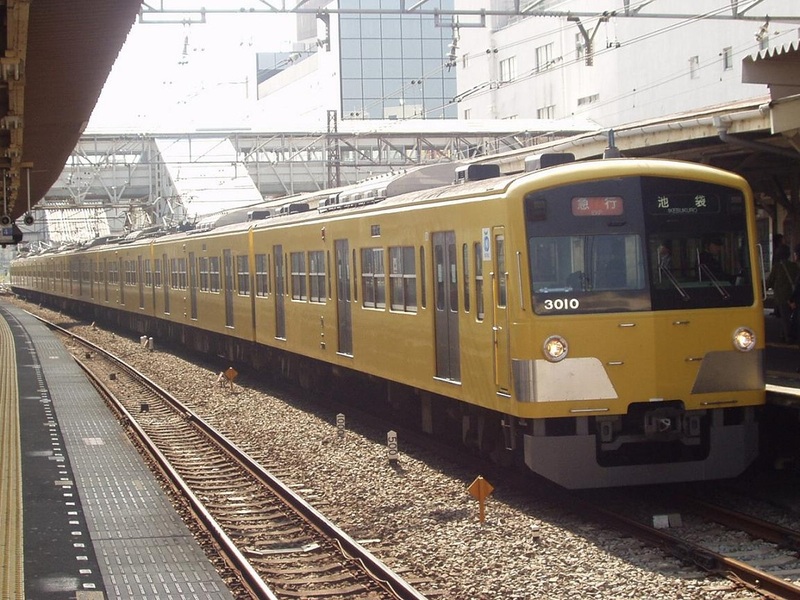 Originally, the 3000 Series was only used on the Ikebukuro Line routes, but some formations were moved to the Shinjuku Line in the 1990s. In 2010, two formations were shortened from eight to six cars so they could be operated on the Kokubunji Line.